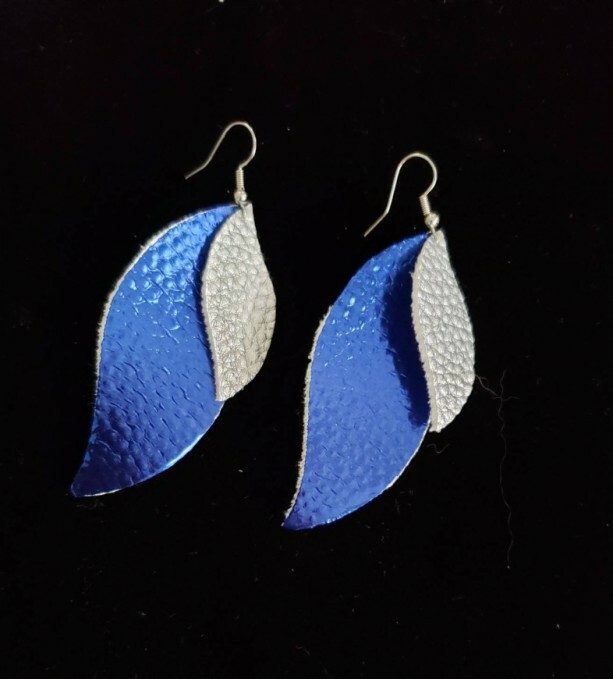 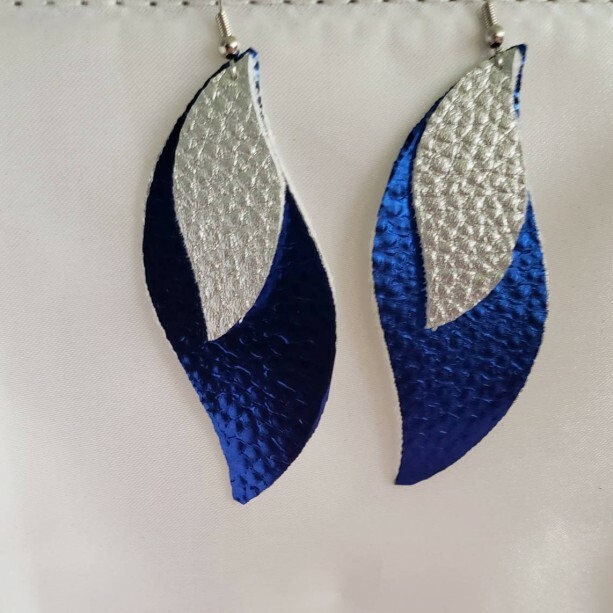 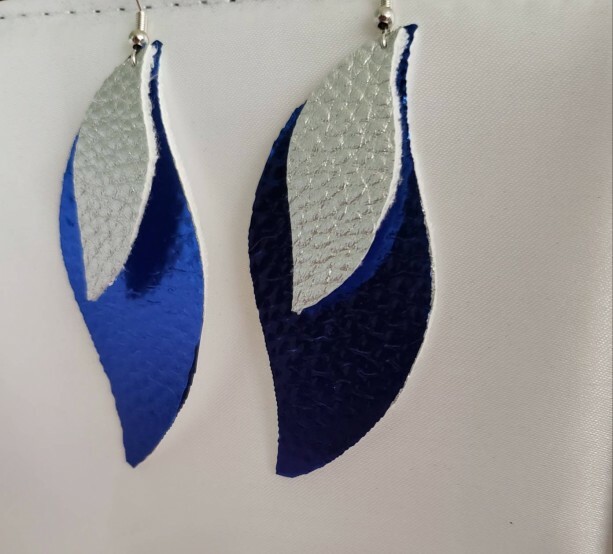 Vegan leather hand crafted earrings. 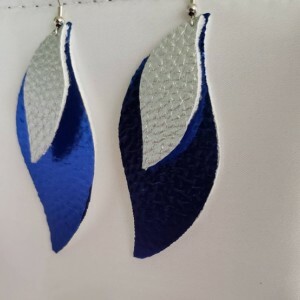 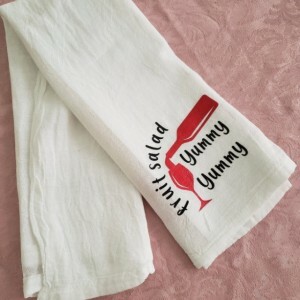 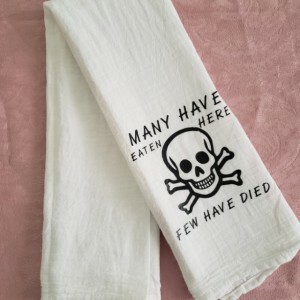 Made with silver faux leather and metallic blue heat transfer vinyl. 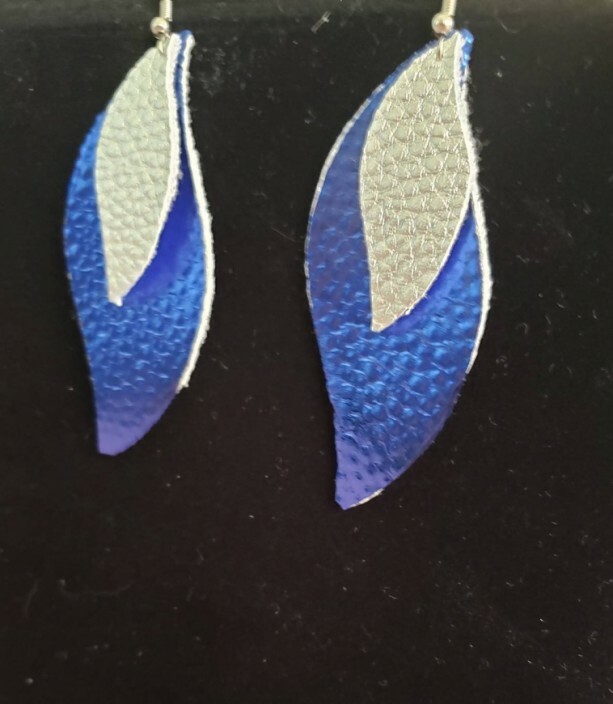 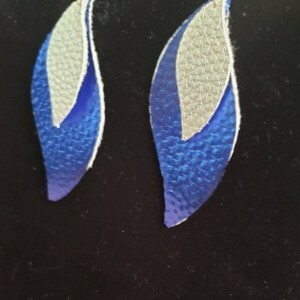 Earrings are a simple nickle free fishhook.